Aston Merrygold has revealed that his mum was the first person he told about JLS splitting - but she initially got the wrong idea. JLS have announced that they are calling time on the band after five years at the top of music business. Aston, who has been tipped to go solo after the break-up, told The Sun that when he told his mum that he had "some big news" she immediately thought there was an unwanted pregnancy. The singer, who has a reputation as a ladies' man, said: "The first person I told about our plan to call it a day was my mum. "So I called her and told her not to worry, and that me and the boys were going our separate ways." 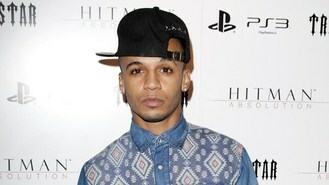 Aston, a judge on Sky series Got To Dance, said: "She is hard to shock but she was obviously upset. The whole experience was lived by all our families as much as us." He said of his future career: "I plan to explore as many avenues as possible - with no pressure. "I'll go and do some acting, audition for roles that could be for sitcoms, could be for films, could be for plays. "I'll do stuff that's no pressure for a while, instead of being in the relentless cycle of a boyband." Sharleen Spiteri ended up being treated in hospital for concussion when she took a tumble while shooting a new music video. The long-list for this year's Scottish Album of the Year Award has been announced. Sales of Neil Diamond's Sweet Caroline are up by 597% a week after the song became a source of comfort following the explosions at the Boston Marathon. Albums by the Spice Girls and the Now That's What I Call Music compilations are among unlikely releases which are being prized by collectors and could give a windfall to pop fans. Kesha has said her new reality TV series will show she is a serious artist, not just a party girl. Five star Abz Love has said he could have been the male version of Lady Gaga. Thom Yorke has insisted his new band Atoms For Peace is definitely not a supergroup, and woe betide anyone who dares to call them that. Liam Gallagher has said he's fed up with people saying he can't sing. Fans of band JLS will be heartbroken after they announced they were splitting after five years at the top of the music business.